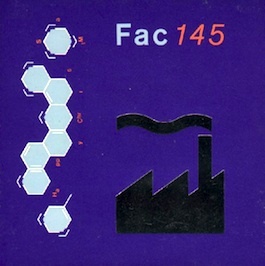 Notes: This is a cardboard CD sleeve (a la the 'car carry cases'), in blue with a silver embossed Factory logo and a water ("snow") molecule-design by PSA. The sleeve includes a cardboard CD with a Christmas message and is signed by the Factory staff. (300 produced.) Manufactured by James Uptons, Birmingham.